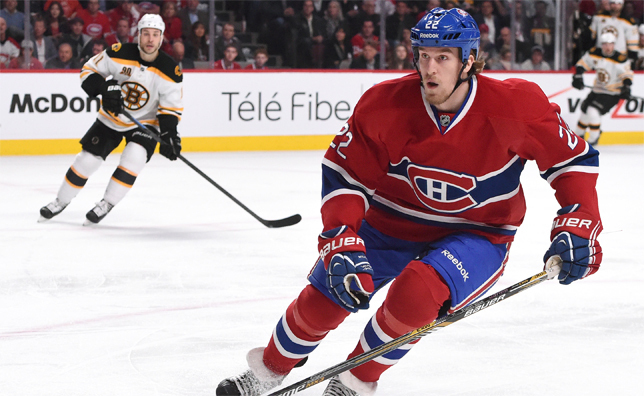 MONTREAL (June 17, 2014) – Montreal Canadiens general manager Marc Bergevin announced today that the team has agreed to terms on a two-year contract extension with forward Dale Weise (2014-15 and 2015-16). “The acquisition of Dale Weise contributed to the success of our team this season. A young veteran with a lot of character, Dale is an intense player with a strong work ethic. We’re very pleased to have him as part of our team moving forward,” said Canadiens general manager Marc Bergevin. In 61 games with the Canadiens and the Vancouver Canucks in 2013-14, Weise recorded 16 points (6 goals, 10 assists). One of his goals was tallied on the powerplay and he scored one winning goal. The 6’02’’ and 210 lbs winger registered 59 penalty minutes, 103 hits and a +3 differential, while averaging 8:25 of ice time per game. Weise added seven points (3 goals, 4 assists) in 16 playoffs games, leading the Canadiens with two winning goals (tied with Max Pacioretty and Rene Bourque). Weise, 25, has produced 30 points (13 goals, 17 assists) in 179 regular season contests since his NHL debut with the New York Rangers in 2010-11. He has seven points (3 goals, 4 assists) in 22 playoff games. A native of Winnipeg, Weise was drafted by the Rangers in the fourth round, 111th overall at the 2008 NHL Entry Draft. He was acquired from the Canucks on February 3, 2014, in return for defenseman Raphael Diaz.